Tiles are a wonderful addition to any bathroom, but installing a new tile floor or wall is a home improvement project fraught with hidden pitfalls and potential dangers. Many a homeowner has decided to lay their own tiles, only to find themselves stuck halfway through or reaching far deeper into their savings than they planned, in order to get the project finished. 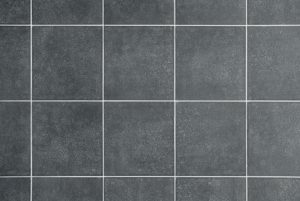 Before you start laying down bathroom tiles, read this list of common tiling mistakes. If you’re laying tile in the bathroom, you absolutely need to use a waterproof adhesive. Even the most tightly fitted tiles will get some water seeping in between them, which will cause non-waterproof adhesive to crumble and decay. Since there’s no way your bathroom floor and walls won’t have somewater getting splashed onto them, failing to use waterproof adhesive on your bathroom tiles is a one-way trip to wasting a lot of time and money. When it comes to tiles, it’s always better to have too many than too few. While many people scoff at the idea of buying more tiles than they need, it’s surprisingly easy to underestimate how many tiles you’ll need to cover your entire bathroom floor or wall. A good rule of thumb is to buy at least 15% more tiles than you think you’ll need. Even if you don’t use them all, you’ll have a stock of replacement tiles on hand to install in case any of the tiles break. For many people, their first instinct is to start applying the grout to newly laid tile as quickly as possible. Unfortunately, applying grout too quickly can lead to a botched job that’s incredibly hard to fix. As the adhesive dries, the tiles (and the spaces between them) will move ever so slightly. The distance is negligible most of the time, but it makes a huge difference if you’ve applied grout in the space between the tiles before they’ve settled into their final positions. Wait at least 24 hours before applying grout to avoid this problem. Another common grouting mistake is applying too much grout at once. If you put too much grout down at one time, some of it is likely to end up drying before you’ve been able to even it out and get it firmly in the right place. 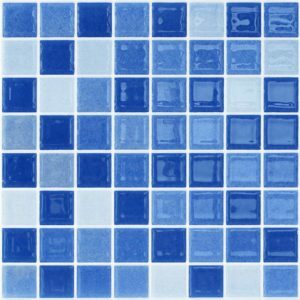 Only apply grout to small areas of tile at a time and use a squeegee to make sure it is applied evenly. If you’re applying the tile to the wall of a bathtub enclosure, then sealing the bottom row that meets the top of the tub is an incredibly important step that cannot be missed. If the gap isn’t sealed, water will get into the wall and under the tub, leading to serious internal damage to your house, including the growth of mold. When it comes to bathtub enclosures, only the best tiles and sealants will do. If you need more help or advice, be sure to contact our bathroom repair and installation experts today at 888-228-4925.